I came across a comic illustration one day where an older patient was being examined by his doctor. When it came time for the doctor to measure his patient’s blood pressure, the doctor said, “I want to take your blood pressure… so try not thinking about your health insurance premiums.” I admit I got a little chuckle from it because of how spot-on that line was. Bring up Medicare premiums to someone who has it, and I can assure you that most of the time, the person you’re speaking to probably isn’t grinning at you. No one likes paying health insurance premiums, but we certainly understand the importance of them. Having a medical plan that protects us from financial ruin in case of a catastrophic event or diagnosis is essential these days. No matter your age, medical coverage is one of the necessities we must have. 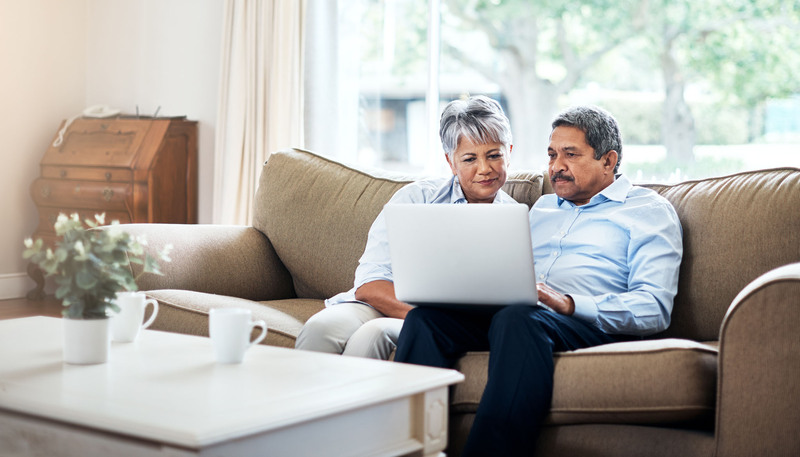 As we near Medicare age, there are plenty of options a person must review to help cover the costs that original Medicare does not, like Medicare Supplement (also referred to as Medigap) plans or Medicare Advantage plans. In this case, let’s focus on Medicare Supplement plans. When it comes to choosing Medicare options, people 65 and older and retirees have many decisions to weigh, and those can be challenging. Blue Cross and Blue Shield of North Carolina (Blue Cross NC) understands the challenges you face when finding the best value and flexibility for your busy lifestyle. Understanding the urgency and importance of these challenges, Blue Cross NC has stepped up to the plate. Blue Cross NC Medicare Supplement members may have access to advantages most competitors don’t offer. Something we like to call “Blue-to-Blue” gives every Blue Cross NC Medicare Supplement member the freedom to switch from one of our current Medicare Supplement plans to another – no underwriting required. Members can switch plans at designated times throughout the year. That means current members can always be sure to have the Medicare Supplement plan that best suits their needs and budget. Thanks to Blue-to-Blue, members can switch to a more economical plan or a plan offering benefits that better align with the member’s medical issues at that time. The decision a person makes regarding how they utilize Medicare will determine not only the quality of the coverage they choose but how it saves them money over time, especially for those living on a fixed income. The plan that a person chooses will undoubtedly play a huge factor as it relates to their income and what’s left over after all your monthly expenses are paid. One of the most important factors to think about is if the insurance carrier and the plan you choose will benefit you for just a short period, or will it be something that will benefit you over a longer period. This is key because some companies that offer Medicare Supplement plans are pricing plans at an artificially low rate, meaning that plan will start off at a much lower price than their competitors at the beginning but then increase drastically over time. This tactic works in drawing in new customers who will always choose the least expensive plan. However, what typically happens is every few years, that company closes that plan book of coverage option thereby locking that member into that plan with increased rates. That same company will then open a new book of plans at a lower rate to attract new members again. Over that period, one can safely assume that there have been annual rate increases averaging in the double digits. Plain and simple, a person 65 or older who may already be on a razor-thin budget now faces the dilemma of figuring out how to pay for a plan that could have theoretically doubled in price through no fault of their own. If they leave that current insurance carrier, they risk having to go through the tedious process of underwriting at an older age and answering tons of questions about their medical history to see if they even qualify. If you’re a retiree, you may already be dealing with some challenging health conditions. Now, to save money you want to change carriers and plans but have to answer health questions to see if you are eligible. Most likely, you will be declined. You’re stuck in a no-win situation. You either stay with the carrier you’re with and pay a lot more money or pay high premiums for a plan that is not fitting your medical needs. It’s wise to guard against allowing yourself to be trapped in a plan where you just ride it out, keep your fingers crossed, and hope for the best. No one wants to be in a situation like that. Fortunately, with Blue Cross NC, you don’t have to be. Have more say in determining the plan that works best for you. Retirement should be some of the best days of our lives. Make sure you’re living it with the added peace and assurance that comes with having more control of your Medicare Supplement coverage and how it affects your finances. Some refer to this time as the golden years. Blue Cross NC believes these aren’t the years you should worry the most, but the years you should truly treasure and cherish. Blue Medicare Supplement plans are not connected with or endorsed by the U.S. government or the federal Medicare program.